G.P. Putnam's Sons Books for Young Readers, 9780399172748, 176pp. This lovable new series introduces a little dog with a GIANT personality! Fenway is an excitable and endlessly energetic Jack Russell terrier. 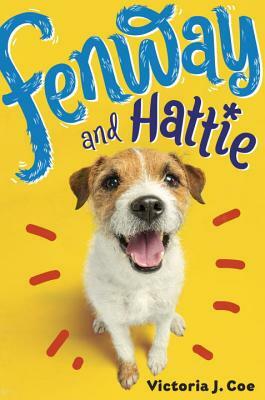 He lives in the city with Food Lady, Fetch Man, and—of course—his beloved short human and best-friend-in-the-world, Hattie. But when his family moves to the suburbs, Fenway faces a world of changes. He's pretty pleased with the huge Dog Park behind his new home, but he's not so happy about the Evil Squirrels that taunt him from the trees, the super-slippery Wicked Floor in the Eating Room, and the changes that have come over Hattie lately. Rather than playing with Fenway, she seems more interested in her new short human friend, Angel, and learning to play baseball. His friends in the Dog Park next door say Hattie is outgrowing him, but that can't be right. And he's going to prove it! Get a dog's-eye view of the world in this heartwarming, enthusiastic "tail" about two best friends. Victoria J. Coe grew up in the seaside community of Duxbury, Massachusetts and went on to live in New York and San Francisco, as well as large and small towns on both coasts. During her family's most recent move, she noticed her dog's confusion and started to wonder what was going through his mind. As they walked in Boston's Fenway neighborhood, his reactions to the sights, sounds, and smells of the city took hold of her imagination. While she has written for many publications and nonprofit causes, writing her first novel for children is the realization of a lifelong dream. Victoria now lives with her family on the outskirts of Boston, where she and her dog are always on the lookout for delivery trucks. And squirrels.